Avast! And welcome to the world of the Mirth, a group of debauched and maniacal japesters that have been plundering the British Isles and mainland Europe for the last several years or so. Combining hilarious live shows with pounding dance music, Seas of Mirth are a party band unlike any other around. 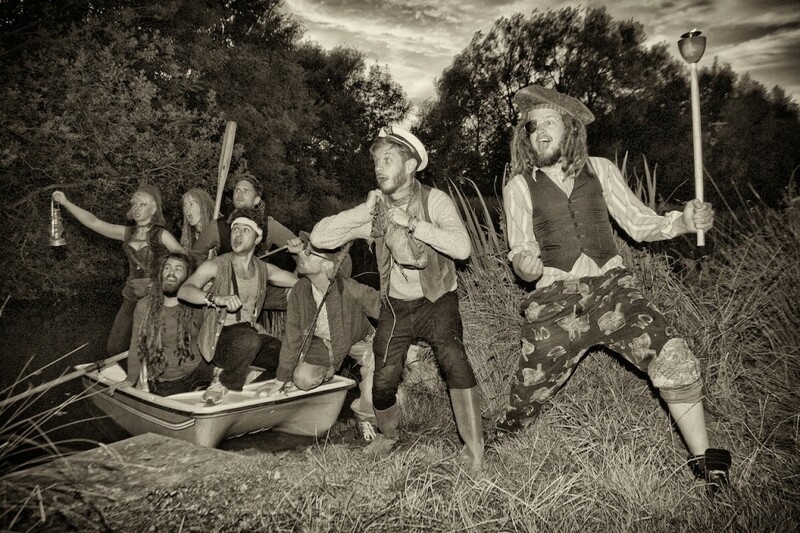 With high speed gypsy beats, a thrashy folk influence and some majestic bellowing, they even manage to throw in a bit of old- school hip-hop for good measure. Imagine Gogol Bordello getting Mumford and Sons in a headlock, whilst Flogging Molly steals their lunch money and Grandmaster Flash kicks them in the shins. They can be seen and heard hollering nautical folk tales, punishment chants, misfortunate love ballads at sea, and musical yarns concerning mythical sea beasts. As well as traversing the festival circuit from Boomtown Fair to Secret Garden Party to Edinburgh Festival, they have forayed the highly decadent and debauched parties in London up to invading the Manchester Day parade, straight down to cannon-blasting the thousands of freshers at Falmouth University. Shaking the gypsy scene to its very core, these buccaneers have the ability to turn every head, shake every hip and split every side!